Aaah - so cute. She shows no sign of fear. Lovely shots. I hope all visitors will click on your pics. Sure is a medley of cuteness. It is interesting how your Koalas are brown while ours are grey. I heard if they are low down in the tree they are usually unwell. 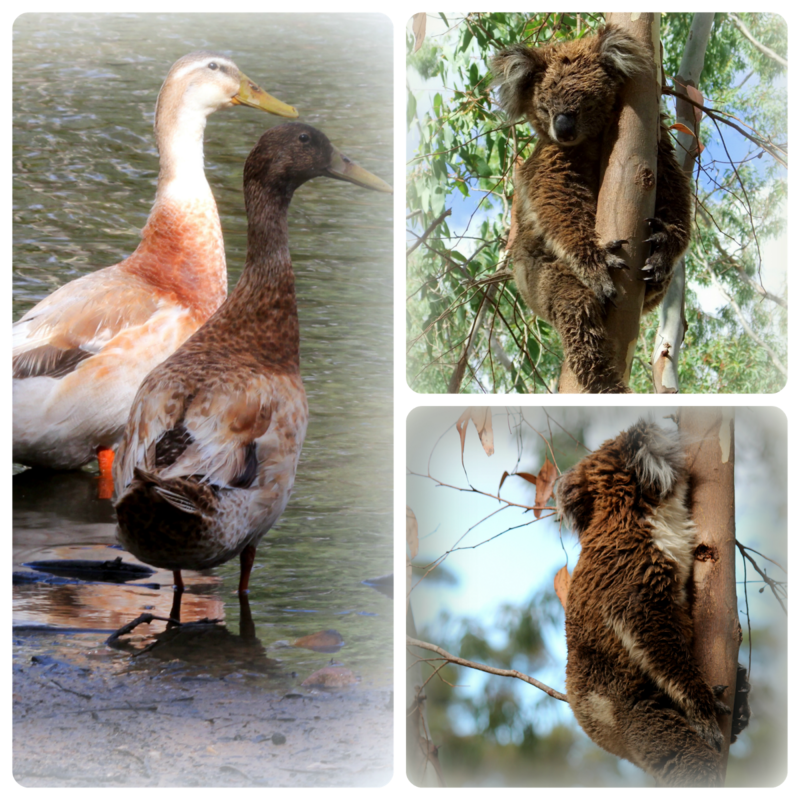 Hello, I love the ducks and the sweet koala. Great photos. The koala is too cute! These images made me smile. So cute! Looks like a great day out Dianne. What gorgeous moments you have captured! Wonderful. All brought smiles to my face, with the broadest smile for the beautiful little miss. Another delightful series of captures of a fun day out Dianne. Love the collage!